EcoLight Candles is based in beautiful East Texas and we are a top supplier of natural soy wax candles in this area and beyond. We have an awareness of the responsibility to be ecologically minded and are committed to bringing to our customers a product that is ecological, healthy, and beautiful. Our desire is to be as great an artisan as we can possibly be and provide the best hand poured, natural soy products possible. EcoLight Candles are made from 100% natural soy wax using all cotton wicks which helps to produce a virtually soot free candle in a reusable container of various sizes to suit your style. Our natural soy wax candles and soy wax melts, should you prefer not to burn candles, come in a variety of fragrances to choose from in various categories; bakery, floral, citrus and essential oils, which are natural oils that are extracted from a plant, flower or tree. 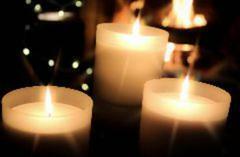 Essential oils are to be therapeutic and could be called "soy wax aromatherapy candles." With the many stresses there are in life, we believe using an all-natural soy wax candle can help bring you calm and relaxation. Check out our "FRAGRANCE" page for descriptions of each Fragrance. Whatever your fragrance preferences are, we hope that you will give us a try. Interested in being a Wholesale Customer? Click HERE for Information. Let's explore essential oils and why they are so good for your body. Essential Oils release oxygenating molecules into the atmosphere destroying and preventing bacteria, viruses, fungi, and molds by purifying and freshening the air we breathe. Unlike fragrances, essential oils interact with the body's chemistry, which in turn affects certain systems as a whole. It is not simply the aroma that is important, but the interaction between the essential oils and the body, and the physical changes that occur. We would love for our candles to infuse your life with wonderful fragrances. Let EcoLight Candles be your "Healthy Candle Choice!"